East Thorne offers stunning glamping accommodation in Kilkhampton near Bude. Situated in a beautiful location in Cornwall, we are perfect for an unforgettable holiday away. Yurt Retreat: We 9 luxurious yurts available, sourced from Mongolia. 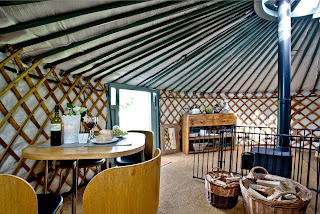 Our yurts are wooden framed with felt lining and covered with a waterproof canvas. 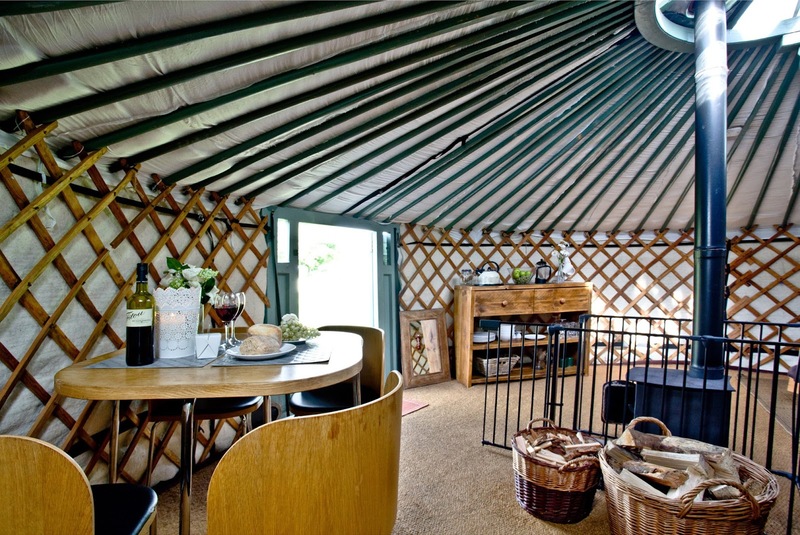 They are set on sturdy wooden decking and inside there are handmade beds, log burning stoves, blankets and furnishings. Each yurt has its own undercover outdoor kitchen with a separate barbeque, al fresco dining area, fridge and storage facilities. The Roundhouse: Our opulent en-suite accommodation is perfect for a romantic break away. This stylish accommodation is quirky and boasts contemporary furnishings. Everything is of a high quality, including hand chosen fixtures and fittings. It blends industrial chic with lavish fabrics. Inside you will find underfloor heating, a wood burner, en-suite bathroom, seating and comfortable double bed. 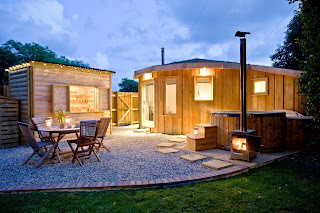 The Roundhouse enjoys its own private garden, wood-fired hot tub, covered alfresco supper kitchen and fire bowl. Superb facilities onsite include showers, loos, hairdryer, plug sockets, a washing up area, adventure playground, games room and pool table. Guests also welcome to see the wonderful variety of farm animals dotted around the place. All our guest can use our al fresco kitchens, wood-fired clay ovens and campfire Dutch ovens. You can even order our delicious Banger brekky glamper hamper or gourmet hamper – please enquire for details.